The insurance industry is going through a challenging phase because of the changing market conditions, tough regulatory norms, and cutthroat competition. 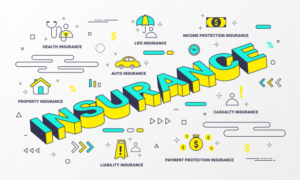 To maintain a competitive pricing model that will attract more customers, insurance companies have been utilizing the potential of business outsourcing companies. Apart from reducing the operational expenditures, outsourcing will help to streamline back office operations and in-house resources. Outsourcing will thus help insurance companies to focus more on the core business operations and to set a strong foundation of growth and profitability. The role of BPO in the Insurance Industry will help companies to stay ahead in the competition and to flourish even in the most challenging market conditions by cutting down on costs and enhancing the quality of output. Insurance companies typically outsource redundant operational tasks including claims handling and underwriting among others. By outsourcing, companies can ensure rationalized delivery model, standardized business processes and superior quality customer services and operations. Customer care service: Maintaining a loyal customer base is easier said than done and by outsourcing, insurance companies can keep their customers happy by managing queries 24 x 7 throughout the year. A reliable outsourcing partner can offer world-class inbound and outbound customer care solutions and maintain customer loyalty. Retaining a customer is as important as making new leads and only a well-maintained customer support system can ensure this. By outsourcing, companies can manage customer queries and concerns through multiple channels including email, voice and chat 24 x 7. Surveys show that a high-class customer experience can be crucial in the growth and development for any insurance company. Data processing: As companies grow, there will be an enormous increase in the amount of data generated as well. Hiring an outsourcing team will help you to carry out data processing easily without having to employ the precious in-house resources on it. 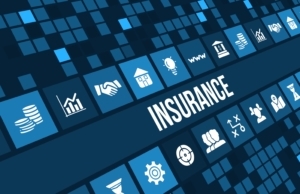 Data mining: Insurance companies keep a close watch over the industry trends by analyzing precious data, which in turn will help them to enhance their decision-making processes. However, handling the humongous quantity of transactional data involves a lot of time and effort. By outsourcing this task of data mining, companies can make available their employees for their core business operations. Outsourcing data mining will enable insurance companies to pinpoint risk factors and forecast profits and losses and make customer level analysis among others. Outsourcing will support the administrative and management tasks of companies, leaving them with sufficient quality time to take care of their strategic planning and revenue generating services. Underwriting: It is a highly specialized task that involves calculation of the risks of policies and the value of policies. Underwriting requires expertise and an eye for details and by outsourcing, insurance companies can save a lot of time and can engage their well trained in-house manpower resources in their strategic business operations. Outsourcing companies will offer the dual advantage of state of the art technologies and a well-experienced team that can respond to customer queries regarding insurance policies and proposals. 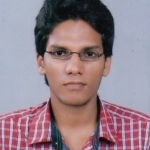 It will also relieve the in-house team of the cumbersome task of dealing with piles of proposals. In the highly competitive insurance field, the vendors have no other way than to offer quality services at the shortest possible time to stand ahead in the competition. Outsourcing is a smart way to ensure precision and expertise in the daily operations of insurance companies. Outsourcing will enable business enterprises to ensure a successful transformation of their business models and exemplary services to their customers. By making the best use of the technological innovations and the strategic business processes, insurance companies can impress their audience and offer the best value for their services. Have you been availing the services of outsourcing partners in streamlining your business operations? Share your experiences in the comments section below.